The world has witnessed a strong pattern of demand for analytical instruments and automation products in the past few years. Players in the industry have seen revenue boosts, marked by factors such as high investments, strict regulations and compliances, and product innovations. Though the economic slowdown impacted the market in 2009, the post-recession period is likely to bring increased spending from end users. By 2014, the U.S. analytical instruments market may reach $7.3 billion, according to a study on Reportlinker.com, U.S. Analytical Instruments Market Forecast. Market growth is largely dependent on the spending patterns of several industries, such the life sciences, and their demand for quality driven analytical instruments may propel the overall market. Several leading analytical instrument companies recently sat down with Drug Development & Delivery magazine to discuss how they are developing devices that address key trends in today’s pharmaceutical industry: the need for faster sample prep, more user-friendly equipment, and smaller but more sophisticated instruments. These companies are B&W Tek, Pall Life Sciences, and Shimadzu Scientific Instruments. With an understanding that a current trend in analytical instrumentation is highperformance, portable instrumentation with sophisticated software, and an easy user interface, B&W Tek has introduced products to the market that address that direction. “Analytical instruments have moved out of the lab, and the hand of experts, to the place where inspectors, operators, and other less technical users need them to test the material they work with, be it verifying material identification, detecting counterfeits, or a rapid screening of products and materials in the field,” says Dr. Katherine Bakeev, Director of Application Service at B&W Tek. 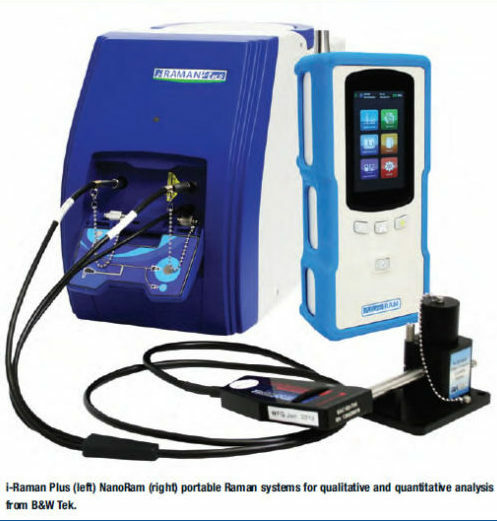 In 2012, the company introduced the NanoRam, a handheld Raman spectrometer for rapid material identification. It has a touch screen and intuitive workflow, allowing for easy adoption of this technology into a QC environment and for use by non-technical operators, explains Dr. Bakeev. 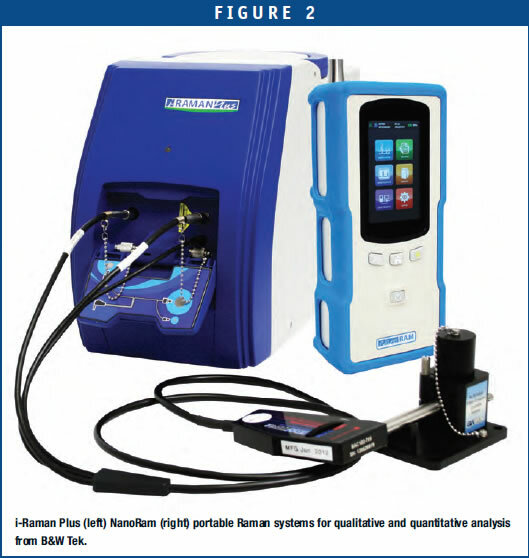 Also introduced was a portable Raman spectrometer, the i-Raman Plus, which comes with a complete software package for qualitative and quantitative analysis and has a higher sensitivity than the previous system and is the highest performance portable Raman in the marketplace, she claims. Based on this evolution, she predicts that the future is in small, smart systems for analysis. This means that the work in the area of miniaturization will continue, as well the advancement of data analytical tools to enable robust data-driven decisions be made using such instrumentation. “Typically, instrument performance now is quite high, and the important aspect of instrument manufacturing is to make the instruments themselves so reproducible that data can be readily interchanged from one instrument to another, without much worry about calibration transfer and matching instrument responses.” These developments will improve the global implementation of technology without the need for redevelopment of methods and procedures at each site to address the differences that may exist from one instrument to another, she adds. Analytical sample prep is growing, facilitating a movement to analyses of smaller samples with more sensitive assays and a need to process more samples faster. 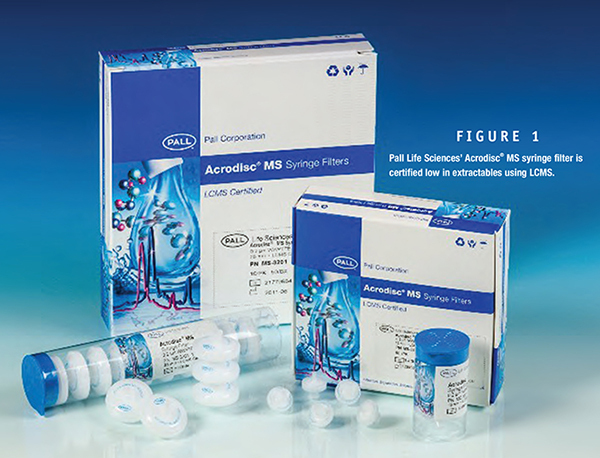 To that end, Pall Life Sciences has introduced multiple new products that are used in HPLC sample prep. Pall is a filtration, separation and purification company that provides solutions to meet the critical fluid management needs of the life sciences industry. The company’s engineered products enable process and product innovation and minimize emissions and waste. 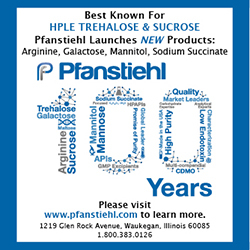 Pall’s products are used routinely in HPLC sample preparation. Pall has also expanded its offering to include a smaller version syringe filter for filtration of samples as small as 25ÂµL. Its AcroPrepâ„¢ Advance filter plates, and Microsepâ„¢ Advance and MacrosepÂ® Advance centrifugal devices round out the offerings. “Sample prep automation is moving forward with high throughput processing using both 96-well and 384-well plate filtration products,” explains Mr. Scheer. “There are also systems available for simultaneously filtering a complete set of samples directly into a carousel for an HPLC system.” These types of systems allow automation of the filtration process so it can be completed in batch or in process via automation. SSI is the American subsidiary of Shimadzu Corporation, headquartered in Kyoto, Japan. SSI offers a full line of analytical measurement and testing instrumentation for a range of applications. 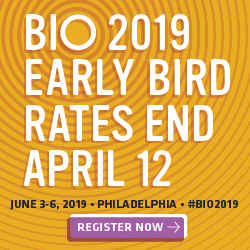 Products include chromatographs (HPLC/UHPLC, GC); mass spectrometers (GC/MS/MS, LC/MS/MS, MALDI); spectrophotometers (FT-IR, Fluorescence, UVVIS- NIR); atomic spectrometers (AA, ICP); X-ray spectrometers (EDX, XRD, XRF); thermal analyzers; Total Organic Carbon (TOC) analyzers; particle size analyzers; balances; and materials testers. In the past year, Shimadzu introduced several new products. 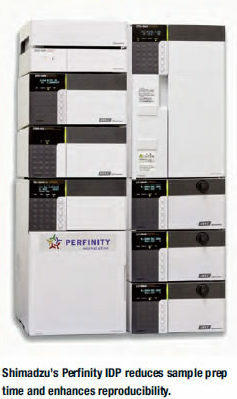 Two key instruments are the LCMS-8040 triple quadrupole LC/MS/MS and the Perfinity IDP (Integrated Digestion Platform). Using proprietary high-speed technologies, the LCMS-8040 features ultrafast MRM transition speeds (555 MRMs/second), ultrafast polarity switching (15 msec), and an ultrafast scan speed (15,000 u/sec). Plus, newly improved ion optics, integrating two multi-pole RF ion guides, maintain signal intensity and suppress crosstalk, even for high-speed or simultaneous multi-component analysis. This increases sensitivity for MRM and scan mode measurements, significantly expanding the application range and ensuring highthroughput analysis at lower levels of detection. The Perfinity IDP system automates key proteomics workflow steps to significantly reduce sample preparation times and enhance reproducibility. Traditionally, manual sample preparation techniques involving 18-hour tryptic digestion to reverse-phase HPLC and mass spec detection take three days to complete. 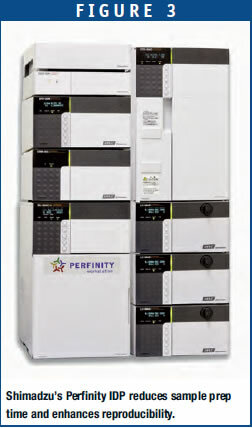 Perfinity IDP, which features a customized Shimadzu HPLC, reduces time to 30 minutes or less. This is accomplished through automated integration of buffer exchange, digestion, desalting and reversephase separation. The automated process removes much of the equipment and labor associated with LCMS analyses of proteins, minimizing a potential source of error and improving laboratory productivity. Perfinity IDP can be used in multiple application areas, including assay development, protein purification, drug development, and biomarker discovery. For instance, the new UHPLC, Nexera X2 includes an Intelligent Peak Deconvolution Analysis (i-PDeA) function. This function extracts a single peak from co-eluted peaks and quantitates it by exploiting the differences in spectra between each compound. i-PDeA enables users to visualize and detect a minor single impurity even when the impurity is coeluted with an analyte. Nexera X2 also features automated solvent blending and comprehensive method scouting, saving a significant amount of time during the method development process. Another example is the open-access method toolbox software for LCMS. With the Method Toolbox, chemists can analyze up to 96 methods, 16 mobile phase solvents and six columns – all in one batch. This makes it easier to find the optimal separation conditions for fractionating synthetic compounds, thus increasing laboratory throughput for compound isolation. In addition, Method Toolbox software automatically manages vials, and fully cleans columns and flow channels, allowing multiple analysts to confidently screen different samples at the same time. In addition, pharma customers are seeking specialized configurations and software to address specific applications, or the ability to use instruments from different vendors with one software platform. Shimadzu has ensured its HPLC instruments, for instance, can be controlled by other vendor’s software.